One of the most controversial moves LG made when designing the LG G5 was to remove the app drawer from its Android experience. If you’ve been in Android any time at all, you’ll know the importance of the app drawer: it allows you to have the apps on your main desktop that you want to use, while allowing you to “hide” the others away in the app drawer. You can always visit them when you want, but they don’t get the pleasure of cluttering your main screen(s). Well, LG removed the app drawer in the LG G5, making us wonder if Google intends to get rid of the app drawer in Android 7.0 N as a way to win over more iPhone users. You should see the words “Home(UX 4.0) 4.80.4 at the top of the page. Scroll down beneath the “Follow Home (UX 4.0) App Updates)” and “Follow LGElectronics Updates” and you should see the word “Download” in a green box. Go ahead and tap the box to download the new Home 4.0. Once the download is complete, you should see a “Complete Action Using” menu pop up. 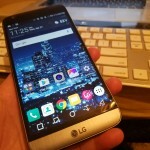 “Home” refers to the current LG UX 5.0, “EasyHome” refers to the other mode that brings back an app drawer (but is too unattractive). The “Home(UX 4.0)” refers to the old setup, prior to the new 5.0. Go ahead and select that. You can always change this by going to Settings>Application manager>Reset default apps. That’s it! 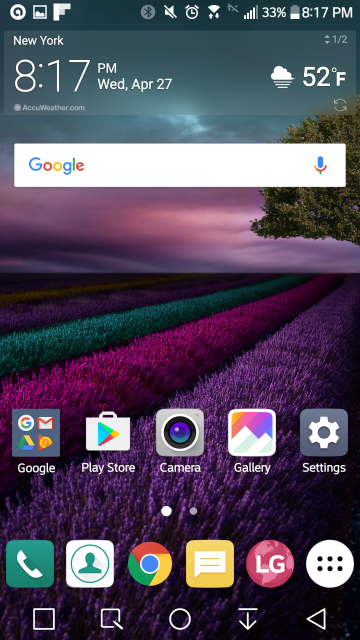 You can now enjoy the old LG UX 4.0 with the app drawer on the G5, the one you cherished before LG eliminated it. Have you decided to revert back to the LG UX 4.0 version in the LG G5 instead of sticking with the UX version 5.0 that is pre-installed on the LG G5 out of the box? Are you encountering any problems with the device for which you’d like some advice?